Two men were arrested during a raid at Dondobaga Church in Kurilik village, Puncak Jaya. They were tortured on arrest and denied food while in detention at Puncak Jaya regional police station. On 26 January, Yenite Morib was arrested along with Tiragud Enumby during a raid at Dondobaga church, Kurilik village, in Puncak Jaya. 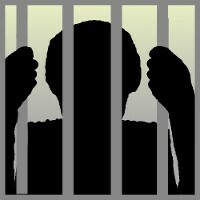 The arrest of the two teenagers came three weeks after the arrest of Deber Enumby in the same village. Deber Enumby was arrested following the theft of eight firearms from the Kurilik police post by suspected members of the National Liberation Army/Free Papua Movement (Tentara Pembebasan Nasional, TPN / Organisasi Papua Merdeka, OPM). Morib and Enumby were reportedly tortured on arrest and were denied food for at least two days while in detention at Puncak Jaya regional police station. According to a report by an independent local human rights activist, while security forces suspect the men of being members of the TPN/OPM, they are ordinary civilians. Reports state that the arrests were made amidst violent sweeping at Dondobaga church. Local activists state that the raid was carried out by members of police Mobile Brigades (Brigades Mobil, BRIMOB) and Special Detachment 88 (Detasemen 88, ‘Densus 88’) and that church members were bayoneted by security forces. The raid caused unrest, resulting in hundreds of people from the congregations of Kurilik and Dondobaga churches fleeing their villages. Local news reports state that houses were burned down by security forces in the area. The Chief of Puncak Jaya police denied that there was any attack on the church congregation. It is unclear at the time of writing what charges the two men face and whether they are receiving legal accompaniment.